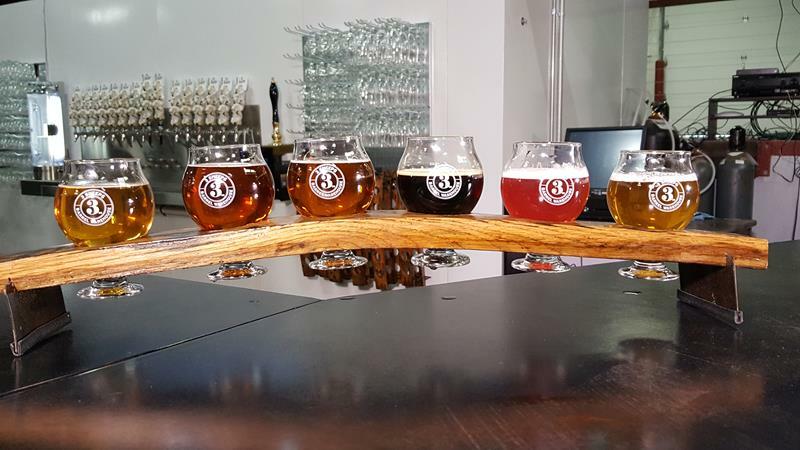 3 Sheeps Brewing is based in Sheboygan. It started, as may craft breweries, as a home brewing hobby by Grant Pauly. Meanwhile, along Highway 42 the Hops Haven Bar housed the Port Washington Brewing Company for several years before that brewery went under in 2012. That provided an opportunity for 3 Sheeps to open up shop in the bar, with the brewing operations in the back. They stayed there for four years before a new opportunity presented itself. Top year-round beers at 3 Sheeps include the Cashmere Hammer Nitro Stout, the First Kiss IPA, Rebel Kent Amber Ale, and their Really Cool Waterslides IPA. Seasonal beers include Nitraberry, a tart wheat ale; the Paid Time Off, an Imperial wheat ale; Uber Joe Imperial Stout, and Happy Summer. They also brew a variety of small batch beers and ales. Their beers are now available across Wisconsin, the Twin Cities metro, down into central Illinois, and plenty of craft beer festivals across the Midwest, but why not try them at the source?? 3 Sheeps has its brewery and Tap Room just north of its previous location. 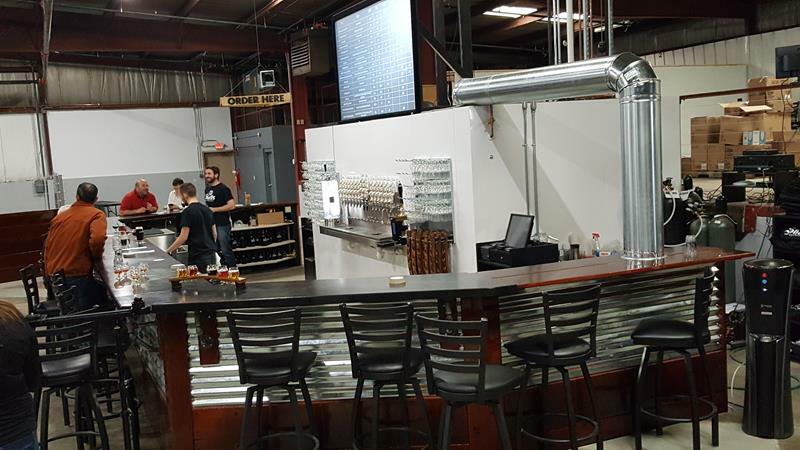 The large building hosts the brewing equipment, the full bar, and an event space. The tasting glass holders, which are really cool, were forged out of old barrel staves. Tables and chairs were repurposed from Sheboygan’s old Armory building. 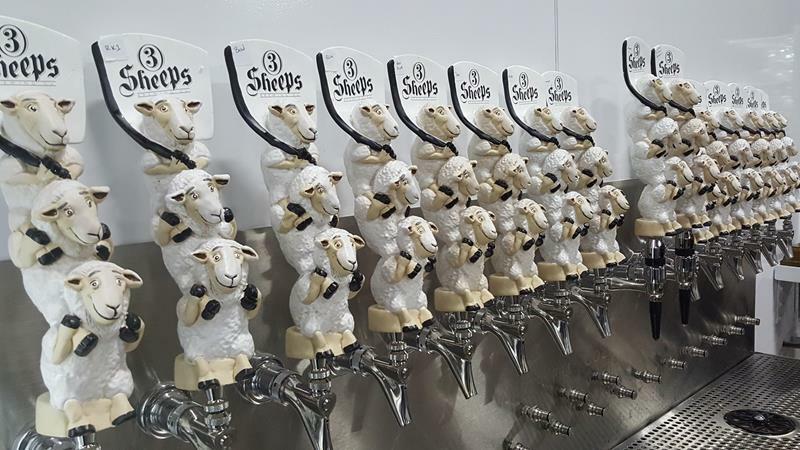 You’ll find 3 Sheeps Brewery and Tap Room along North Avenue, just a few blocks east of Highway 42 (Huron Avenue.) It’s not too far north of the big intersection where Highways 23, 28, and 42 begin and end together just west of downtown Sheboygan. It’s less than 10-minute drive off I-43 and only a few minutes from downtown and Sheboygan’s beautiful lakefront and harbor area.